For an original starter or a nibbles to share. Preheat the oven to gas mark 7 (220°C). Cut the brick pastry sheets into bands approximately 8cm wide. Lightly brush with melted butter. Finely chop the basil leaves, cut a slice of smoked trout into small cubes and mix it all with the cheese. Season with salt and pepper to taste. 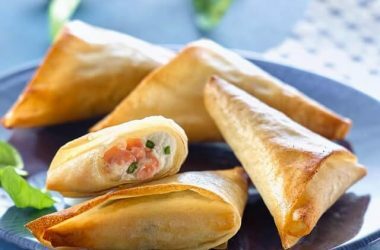 At one end of each band, place half a slice of smoked trout and spread a teaspoon (or more) of the mixture on top and then shape the samosas into triangles. 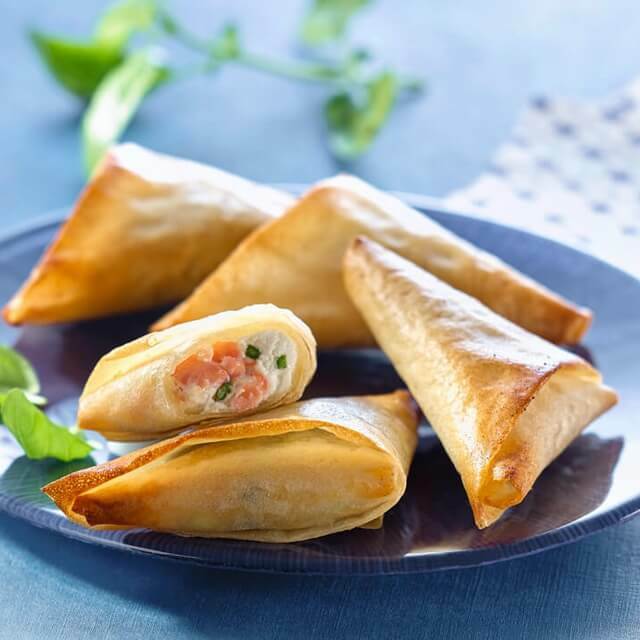 Place the samosas on a baking tray lined with baking paper. Bake in the oven for 10 minutes at 180°C and serve hot. To make folding even easier, go to the Tips & Folding page.